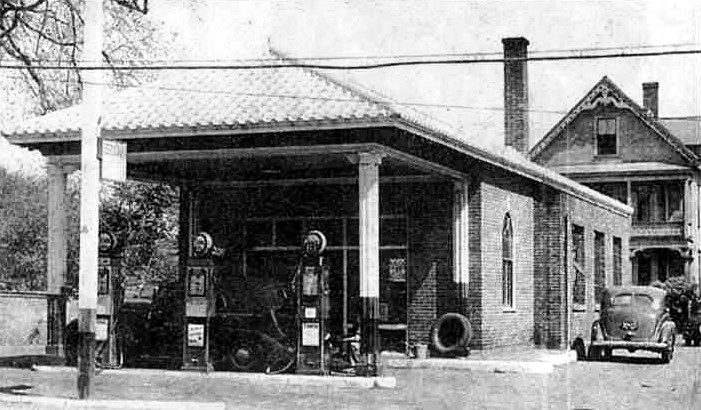 The filling station was built in 1928 by the Shorten family. The architectural style reflects the period style of many filling stations across the country. The red brick facade and Colonial revival arched windows may have been intentionally designed to complement the Free Church to the east and blend in with the neighborhood. This lot was first the site of the Victorian home behind the garage in the photograph which was moved to the rear of the lot for the construction of the Tydol - Texaco Station. The following is an excerpt of the newspaper article which appeared in the Andover Townsman on December 28, 1928. New Filling Station Centrally Located Near Andover Square. One of the finest Texaco filling stations in this vicinity is that owned by Walter and James Shorten at the junction of Elm And Main Streets on the direct road to beaches and the north. One of the most modern and thoroughly equipped filling stations in the Northern New England, carrying a complete line of Tydol and Texaco gasoline and petroleum products, was formerly opened Saturday morning, December 22, by Shorten Brothers, well known Andover auto accessory dealers, at 11 Elm Street. ….this magnificent five pump filling station is a fitting memorial to their ten years’ success in the auto accessory business. The building is of red brick, designed along generous lines,. Three gas pumps occupy the cement island in front of the station, and one pump is installed at each of the corners facing the entrance. This affords ample accommodation for the many motorists who desire the best in gasoline and lubricating products. Upon his return from active service in France, Mr. Walter Shorten opened a small auto accessory shop on the site where the new filling station stands. From a modest beginning, Mr. Shorten steadily built a sturdy business foundation which resulted in his entering into partnership with his brother, James A. Shorten, three years ago. The new filling station is the last word in modern motor service. Complete equipment has been provided for greasing, washing and general repairing of automobiles. A car serviced at this ultra modern station has received Shorten Service – in other words, a through, satisfactory job. The Shorten Brothers carried on their business here until 1936 when the property was sold by the bank to Louis M. Eidam of Lawrence. 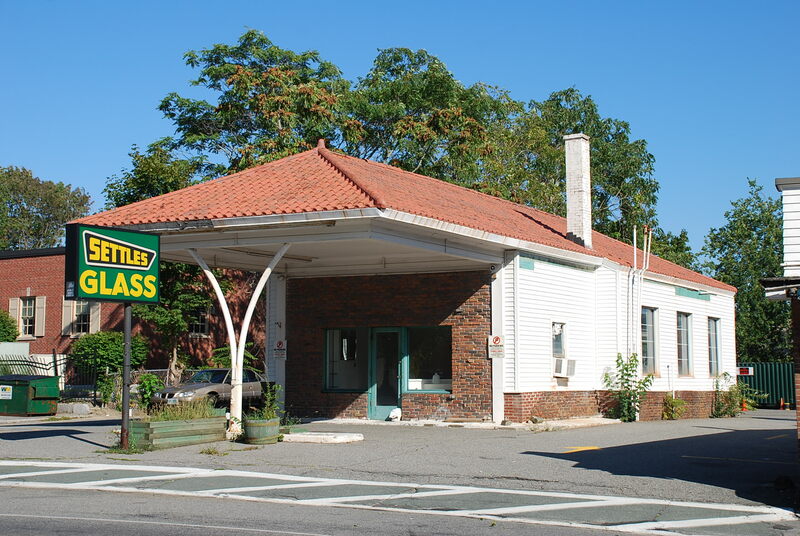 In July 17, 1936 the station reopened as the Elm Street Service Station with John B. White as the proprietor. Mr. White was living in the two family house to the rear of the property in 1932 and worked for Tyer Rubber Co. prior to the filling station. John, William and John White Jr. were residents here at various times from 1939 – 1954. Dec. 24, 1952 AT – Elm Street Service Station – Theo Demers takes over ownership of the business. A large two page advertisement shows the station and the Demers brothers. Mr. Eidam owned the property for twenty one years before selling both property and business to Joseph W. Connor and his wife Margret (Peg) Connor of Andover on May 1, 1957. Joe Connor ran a full center page advertisement in the “Townsman” the following day announcing his purchase of the business which he had been associated with for sixteen years. The name Elm Street Service Station remained. Phil Pasho was listed as assistant with Connor. Accessories listed included; Goodyear tires and batteries, Veedol lubricants, Tydol gasoline and supplies by Eidam’s Incorporated. Joe Connor operated the station until 1972. His son William J. and wife Evelyn lived in one of the apartments in the house from 1962 – 1966. Connor sold in 1972 to Gilman Inc. and in 1975 was bought by Burshaw Oil Company. Shaymar Properties, a sub Corp. of Doherty Insurance leased the property for employee parking before assigning their lease to Settles Glass. Settles had been located at 14 Main Street for ten years prior to relocating to Elm Street in January 1993. Settles closed this branch in 2008 and the building has remained empty since that time. The owner of the property, Mr. Aznoian, presented plans to the Preservation Commission in January 2011 with the president of Century Bank and architect, for renovations of the former station into a branch office for the bank. The building will need reconstruction to the rear but the exterior facade will be restored to reflect the original design. The open portico in front will be enclosed with windows for a customer lobby. 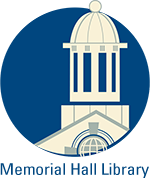 By the fall of 2011 it was apparent that the building was not structurally sound and could not be rehabilitated and restored. Century Bank designed a new structure that mimicked the original design and foot print of the old station. In January 2012 the entire building was razed and construction began on a full basement. The new bank building was completed in July 2012.